Every business wants them, but many believe they don’t have the resources necessary to attract strong candidates. Leading U.S. companies offer thriving internships, proving that these programs are good for both businesses and interns. But do you need a budget like Google or Amazon to create an effective social media internship program? Whether your business has a Fortune 500 budget or more modest resources, you can create a social media internship experience that attracts top talent and provides lasting value for your business. Though social media internship requirements vary among businesses, there are skills every intern needs to be successful and add value to your team. When reviewing resumes or conducting interviews, keep an eye out for these helpful traits. Good communication skills: Social media is often the first line of communication with your consumers, making communication a key skill for all social media marketers. A social media intern should be able to provide insight on company messaging across all platforms and with all audiences. A candidate with consistent writing experience may be useful for contributing written content, such as social media posts or blogs. Strong social media presence: Interns with a professional social presence are more likely to understand how to use and communicate using social media platforms. Check out your candidates’ social media profiles to get a sense of how they present themselves and communicate with their audiences. General marketing knowledge: Your intern won’t be a marketing guru, but they should understand the basics of marketing to interpret tasks and communicate with your team. Though you may need to supply additional training, your intern should already be well-versed in standard marketing terminology and resources. From there, they can focus on increasing their knowledge throughout your social media internship program. Management skills: Though they won’t manage a direct team, your intern should possess teamwork and time management skills to manage their projects. Your intern will likely need to collaborate with other interns, team members, vendors, and contractors to complete their tasks efficiently, so keep an eye out for any leadership experience on their resume. A social media internship program can be a considerable boost for your business, but it’s also a major responsibility. Begin by considering why you want to hire a social media intern and whether you can offer a comprehensive program. Social media interns are often technologically savvy, familiar with popular trends, and able to offer a fresh perspective on strategy. However, they lack significant industry experience and require much more training to master your company branding. It could be counterintuitive to assign major tasks to someone without relevant hands-on experience. Social media marketing is much more than scheduling updates or communicating with your audience. It requires a deep understanding of your business’s products or services, brand management, and public reputation. Your social media accounts need to maintain a certain level of activity, authority, and transparency to represent your organization successfully. For account management or community engagement, opt for an experienced social media marketer or manager. Try assigning your interns to supportive roles in market research, reporting, or campaign management. Finally, don’t forget to check your state’s labor laws. You’ll want to make sure you comply with your state’s guidelines as you design and execute your social media internship program. While unpaid social media internships may technically be legal in your state, we don’t recommend relying on unpaid interns. It’s good practice to offer a living wage to anyone working for your business. Here are steps for creating a superstar social media internship program. Before you post the job, determine the key audience you want to reach through social media marketing efforts. If you don’t identify your target audience-where they are and how to communicate with them- evaluating an intern’s effectiveness will be difficult. And no one, especially the motivated, high-performing intern you’re hoping to hire, wants to participate in an ineffective social media internship. Plus, by knowing and outlining your key audience, you’ll be more likely to attract interns who are passionate about your company needs. While it may not be necessary to find an intern familiar with your specific audience, being able to point to your audience in your job posting could help you find someone as excited about your brand as you are. Before an intern can advance your social media outreach, you should conduct a social media audit, to know where you currently stand. Your business likely already has a wealth of customer data available, and you know where they hang out. But you must learn to use that data effectively to create value. An audit will provide a clear snapshot of your business’s marketing landscape and deliver data about its strengths and weaknesses. That data will provide the foundation for your social media internship program, making it easier for you both to gauge your intern’s progress. Specify in your job posting where you want your intern to focus. Do you need someone familiar with Facebook Live or proficient at Snapchat to meet your audience where they are? Include programs you need focus on in the job posting to help you find interns with the right skills. 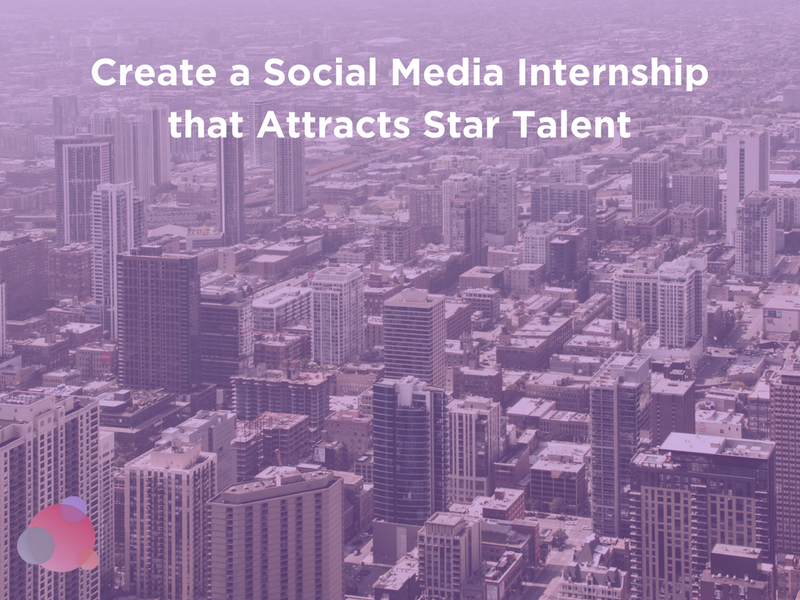 Once you know what audience your intern will target and what platforms to focus on, it’s time to design the social media internship program itself. Every social media internship will be different, but the best provide crystal clear expectations. Your program should outline projects, measurable goals, and supervisory check-ins to evaluate progress. After establishing goals for each audience and platform, and selecting strategies, you can decide how your social media intern will help accomplish those goals. For example, if your business wants to reach professional millennials on Twitter, your intern can establish campaign benchmarks, create a timeline for hitting those benchmarks and produce weekly progress reports for review. By clearly specifying the role, you’ll attract candidates most interested in those roles and who are qualified to fill them. Most importantly, don’t design an internship program that relies on your interns to do menial tasks like getting coffee. Give them projects—with supervision—that allow them to make an impact on your business and their portfolios. Now you have the basics of what to include in the job posting—audience, platforms, goals, and tasks. The next step is to post the job. To recruit high-performing interns, post on reputable sites. Many sites—including InternJobs, YouTern, and CollegeRecruiter target interns specifically. 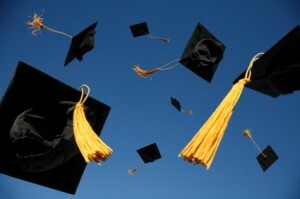 Many colleges and graduate schools require internships for graduation. These schools advertise internship opportunities through their career development offices, reaching thousands of students. Reach out to local colleges and universities and post the intern position on their job boards. They’re just as eager to find appropriate internship programs for their students as you are to fill your position. In addition to offering interns a basic hourly wage and valuable work experience, consider providing in-kind payments. These extra perks don’t need to be big, but they should show your social media intern that you value their contribution. If you already offer certain perks to your employees—tickets to baseball games, ski passes, or reduced-rate movie tickets—consider offering these to your intern, too. If you don’t have such perks available, that’s okay. Perhaps you could host an intern appreciation day, treat interns to a marketing conference, or even provide free pizza Fridays. Beyond that, you can ask interns if there are any executives, board members or investors whom they’d like to meet over coffee. For participants, networking is a huge benefit of an internship, so provide them with real opportunities. The most appreciated perk of an internship may be when you hand your intern a glowing letter of recommendation. With thoughtfulness, planning, and supervision, your business can develop a successful social media internship. This can advance your social media strategy, reach more customers, and is a win-win for you and your intern. And if you recruit well, your intern may even increase business performance to the point where you can hire them once their internship concludes. Now, that is a #winning social media internship strategy. Darina Murashev is a freelance writer from Chicago, now based in Salt Lake City. She writes about tech, money, career building and data science. She enjoys travel, live music, and spending time in the great outdoors.